Water is increasingly hard to come by in drought-stricken California, where many farmers are struggling to get enough water just to pay the bills. But the situation in the Golden State is far worse than many people realize, according to new reports, as underground aquifers that take decades to recharge are being sucked dry, and water infrastructure that has long sustained the agricultural growing regions of the state continue their collapse. Writing for The Washington Post (WP), journalist Joby Warrick draws attention to what many scientists say is an unprecedented collapse of California's vast water infrastructure, which is marked by an elaborate system of canals, reservoirs and wells that transfer water from the mountains and other areas to the Central Valley. Altogether, the state contains some 27 million acres of cropland. This system is now failing, say experts, and the consequences will more than likely be unparalleled in California's history. 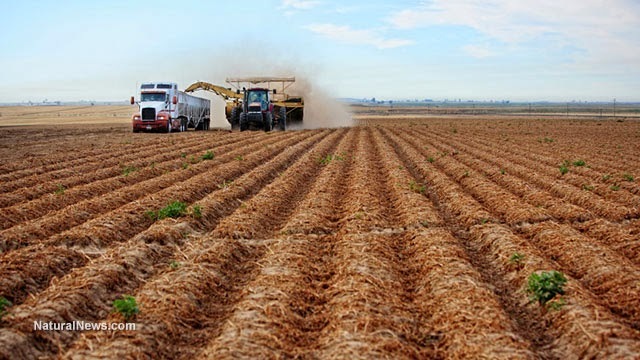 According to the report, many of California's underground aquifers, which are typically drawn upon as a last resort when all else fails, are now the go-to for watering food crops throughout the state. 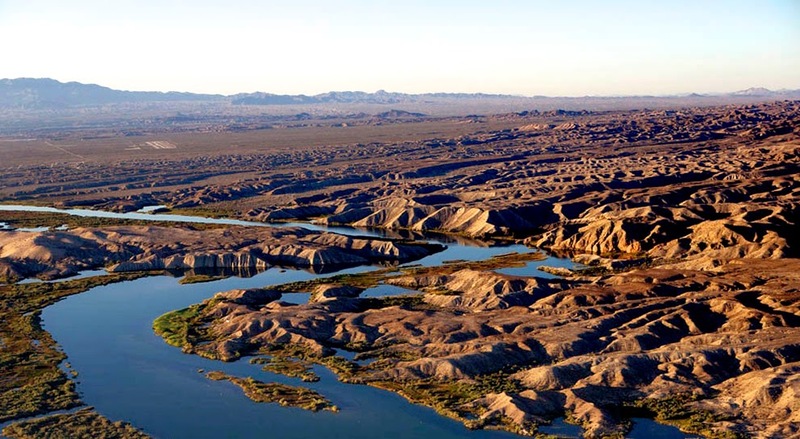 In some areas, these aquifers have dropped by as much as 100 feet, an unprecedented decline that, even if the drought suddenly ended, would likely take several decades or longer to fully recharge. "A well-managed basin is used like a reserve bank account," stated Richard Howitt, a professor emeritus of resource economics from the University of California at Davis, to WP. Howitt co-authored a study published back in July that estimates a 5.1 million acre-feet loss of water this year from California's underground reserves, a volume the size of Lake Shasta, the state's largest water reservoir. "We're acting like the super rich who have so much money they don't need to balance their checkbook." But many farmers have no choice. They either have to pull the water now to save their crops or face potential bankruptcy and the loss of their farms. Because of the immense scarcity of water this year -- some 60 percent of California is now recorded as being at the highest level of drought, dubbed "exceptional" -- many farmers didn't even receive a share from the infrastructure. One such farmer is Joe Carrancho, who grows rice in Willows, California. The 71-year-old lost 25 percent of his usual water allotment this year -- and he is considered lucky, since some farmers received no water at all -- and is now struggling to make payroll. He is also having to make payments on a $500,000 rice harvester that, despite the water losses, still costs the same every month. "I have 25 percent less production, but no one is giving me a 25 percent break in my bills," he told WP. Agriculture is by far the largest water consumer in the state, representing more than 40 percent of California's water usage. Even with about 35 million residents, California's urban areas only account for about 9 percent of overall water usage, which is minimal in the larger scheme of things. But state lawmakers are moving to impose tighter water restrictions, including a $7.5 million bond measure that, if passed this fall, would expand the state's reservoir system and improve water recycling and other conservation efforts. "We've reached a tipping point where the surface water is no longer enough, yet there are increasing demands from both agriculture and the environment," added groundwater management expert and hydrologist Graham Fogg to WP.